Say whaaaat?!? Can it be? Let me say first that it feels like forever. It’s like any long term relationship, I think. In one way, it’s hard to think back to your life without that person/animal/thing, and at the same time, life seems to be moving at warp speed. My blog birthday (blogiversary if you prefer), is something that I usually kind of forget about until it’s right here, or last week. Mostly because a good chunk of my time is spent running around like a crazy person. At the beginning of the year, my #1 goal or resolution was to just slow down and take a breath. I was going to work less, play with my kids more, make new friends and reconnect with old ones. I had big, wonderful plans. And I’m still struggling to change. I’m struggling to make my kids a priority and not view them as an obstacle between me and my to-do list. I’m still struggling to close the computer and turn off my phone. How is that for a depressing birthday speech? Let me change gears. The reason it’s so hard for me to let go of things is because I feel so, so insanely lucky to be here. There are a lot of parts of this job that are not fun, but I get to cook, in my home, and it’s my day job. I can make my schedule however I want, and work whenever I want, and hug my kids and tuck them into bed. The thought makes me so ridiculously happy. But my “don’t-ever-stop” nature turns it into something overwhelming and exhausting. So what I’m trying to say, again, is thank you. Because it’s difficult to blog for a living without an audience, even if you’re here just for the cupcakes and you’re one of the ones who “just wants to get a recipe, not a sob story!!! !”, thank you even so. And on a final note — this recipe is from the actual, real deal Sprinkles bakery cookbook. I was beyond thrilled when I found it, and I wasn’t going to leave it behind. To be honest, I’ve only had a Sprinkles cupcake once, but it was one of the best cupcakes I’ve ever had in my life, and I just had to recreate some! I highly recommend the book if you love baking and cake and sweet treats as much as I do. 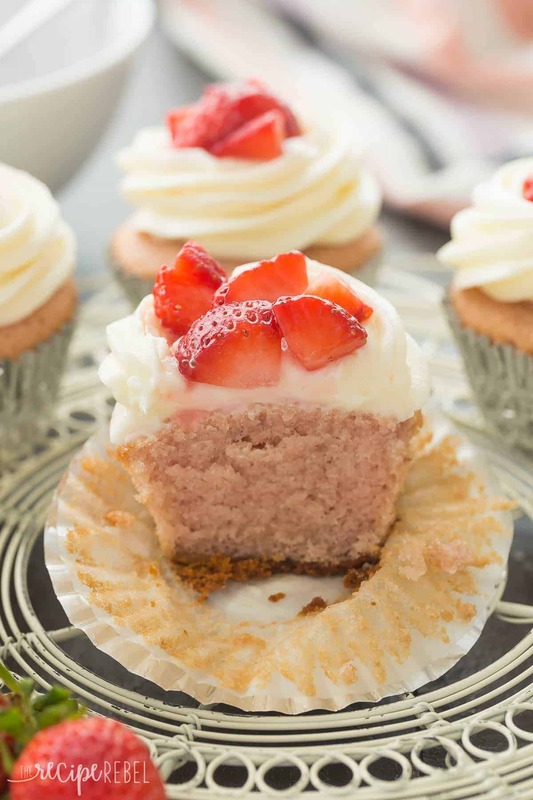 These Strawberry Cheesecake Cupcakes have a graham cracker base topped with a strawberry cake layer, cream cheese frosting and fresh strawberries. Perfect for any birthday, Easter dinner or Spring celebration! Sprinkles bakery recipe. CrustPreheat oven to 350 degrees F and line a 12 cup muffin pan with liners. Combine graham cracker crumbs and butter, divide between muffin cups and press down into the bottom. Bake for 5 minutes or until just starting to dry but not crumbly. Set aside. CupcakesIn a large bowl, with an electric mixer, cream butter and sugar until light and fluffy. Add eggs, strawberry puree, milk, and vanilla and beat until smooth. Add flour, baking powder and salt and stir just until combined. Divide between muffin cups and bake for 19-21 minutes, until a toothpick inserted in the center comes out clean. Set aside to cool completely before frosting. Cream cheese frosting:Add cream cheese and butter to a large bowl and beat with an electric mixer until smooth. Add salt, vanilla and 1 cup of sugar. Beat until smooth. Gradually add in remaining 1 cup sugar, beating until smooth, until desired consistency is reached. Combine 1 cup strawberries and 1 teaspoon sugar in a small bowl and stir to coat. Let sit 5-10 minutes. Spread or pipe frosting onto cooled cupcakes, leaving an indentation in the center for strawberries. 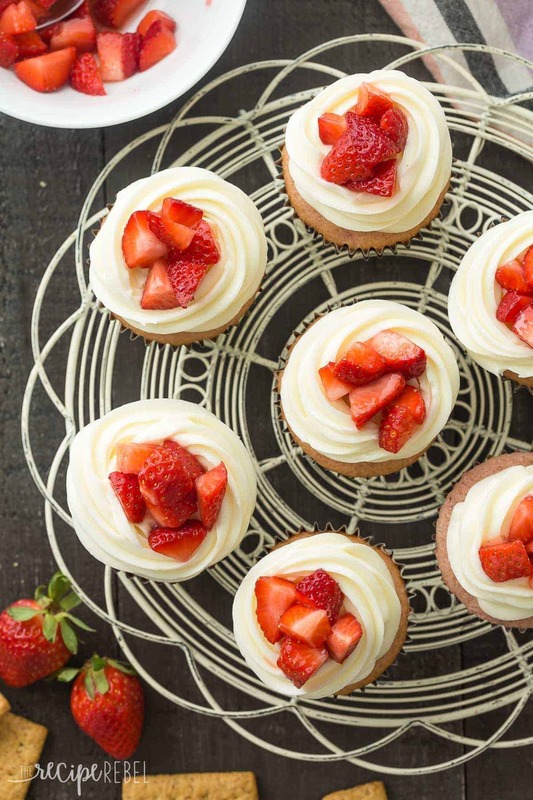 Spoon strawberries into the center of each cupcake. Serve or refrigerate until ready to serve, up to 2 days. Preheat oven to 350 degrees F and line a 12 cup muffin pan with liners. In a large bowl, with an electric mixer, cream butter and sugar until light and fluffy. Add cream cheese and butter to a large bowl and beat with an electric mixer until smooth. As a thank you to you for following along, I’m going to be running FIVE giveaways this month — four will be on Instagram and 1 will be on Facebook. So please follow me on Instagram and Facebook so you don’t miss out! Bit late to the party. It actually says right at the top of the recipe, but it’s pretty small! It makes 12. How do you store these after you make them? For the purée, do I measure out 3/4 cup chopped berries and then use whatever amount of purée that makes? Or do I purée the berries and then measure out 3/4 cup of it? Yes, I measure before pureeing. What tip did you use for piping? Happy 3 years! That dessert looks great and yummy. 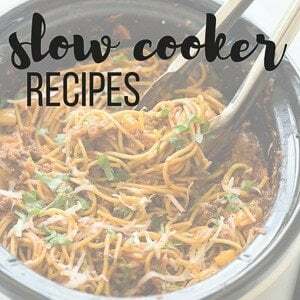 Thanks for sharing this recipe with us. I would love to make this real soon. My family would love this for snack. I love strawberries and this is perfect since I’m craving to eat something out of strawberries this past few days. By the way, can I use almond milk for this? Thanks Julia! I think almond milk should work just fine, but I haven’t ever tried it! SO LIGHT AND FLUFFAYYYY!! These look amazing. Love the lightness of the strawberries and frosting and the creaminess of the cheesecake together. Must try these soon! Thanks Chey! It’s been a wild ride, that’s for sure! Happy 3 years, Ashley!! These cupcakes are pretty much the best way I can think of to celebrate! 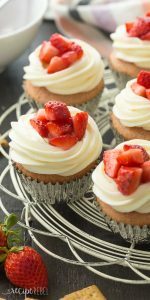 I LOVE strawberries and cheesecake so these are right up my alley! Thanks Sarah! 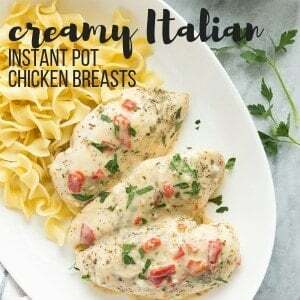 I just HAD to try something from my new cookbook! Happy, Happy 3 year blogiversary! I totally understand what you mean – this blogging gig is pretty darn incredible – here’s hoping and wishing you have many, many more happy blog birthdays! Thanks Shashi! We are totally blessed! Awe Ashley! Congratulations! What a wonderful post and wonderful cupcakes as well! Happy 3 years! Happy “Birthday” and congrats on 3 years!! 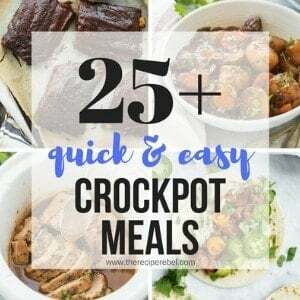 I’m happy you’ve made it this far and I always appreciate the delicious recipes! Happy blogiversary! These look and sound delightful! I am pinning for later! 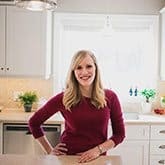 Happy bloggiversary, Ashley! 3 years is quite an accomplishment and you picked the perfect dessert to celebrate with! 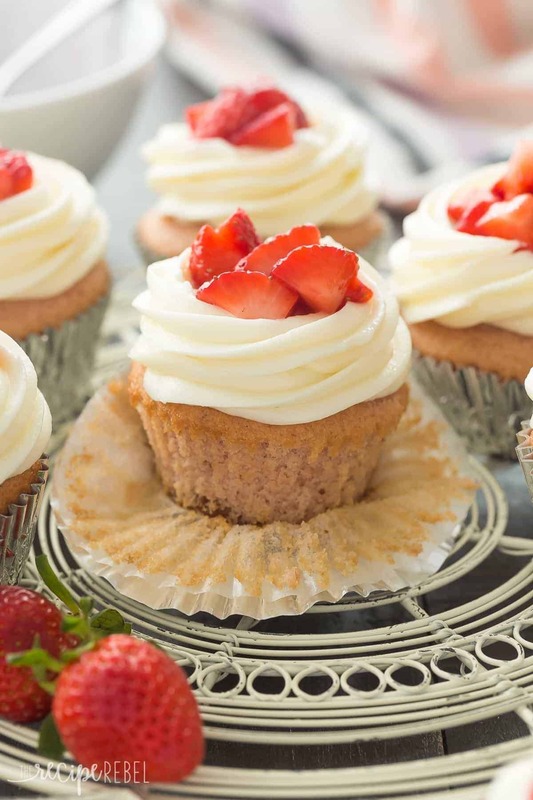 I can never resist strawberry cupcakes, especially when a cream cheese frosting is involved. Is is bad that I want these for breakfast? !